Custom Air Heating and Cooling configures this innovative heating and cooling solution for Coney Island, one of the five projects in the Bold Booths project. 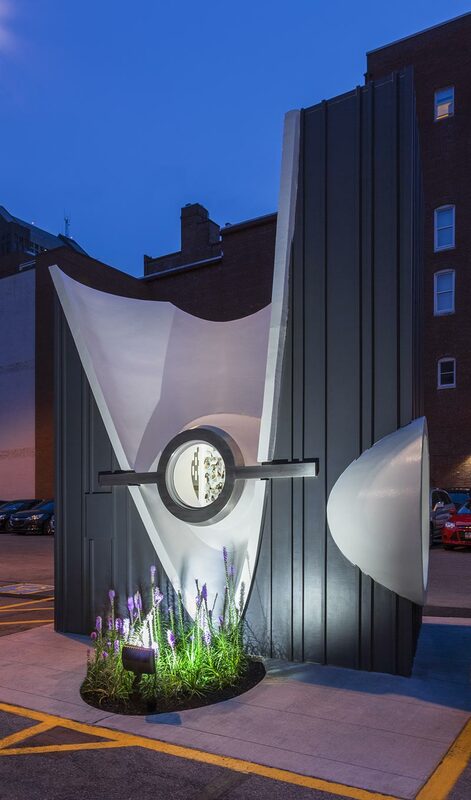 Bold Booths combines art and function unique to Columbus, Ohio. This pioneering project is an extension of Finding Time: ColumbusPublicArt2012. 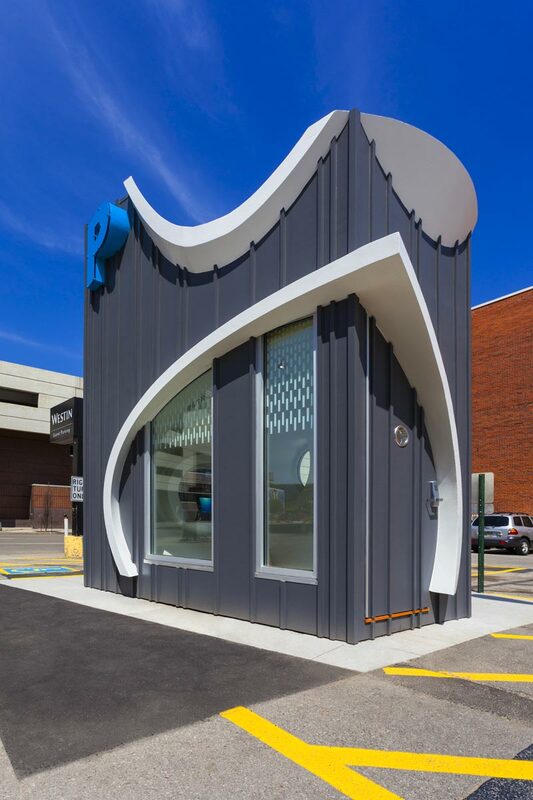 Parking attendant booths will not only provide shelter for attendants, but will spark community dialogue about the role design plays in expanding the social capital within the city. Coney Island was designed by Knowlton School Associate Professor of Architecture Beth Blostein and Architecture Lecturer Bart Overly of Blostein/Overly Architects. Malcolm Cochran, professor emeritus in the Department of Art at Ohio State and the project curator, said the concept of “new meets old” runs through the Bold Booths initiative. 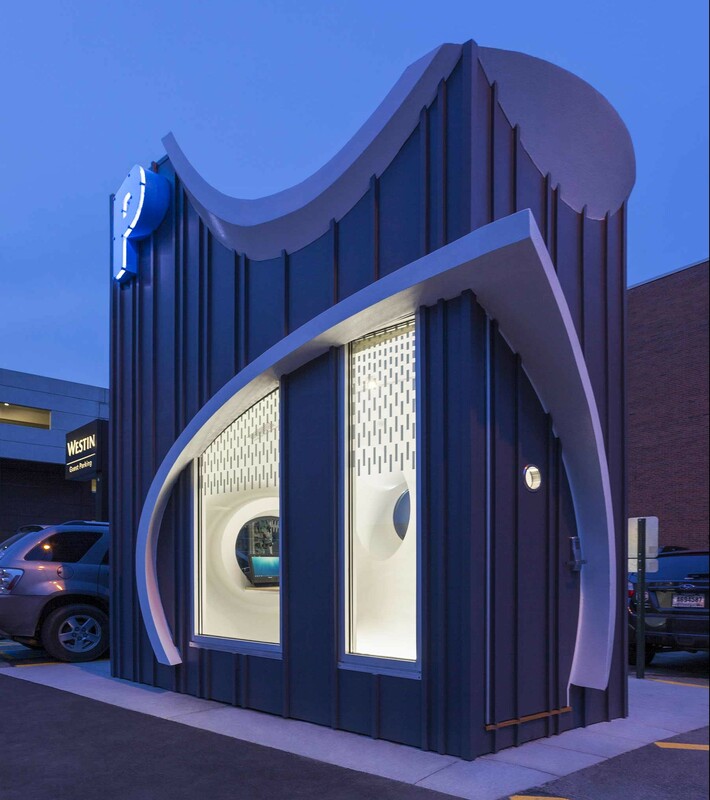 The innovative parking attendant booths will not only provide shelter for attendants, but will spark community dialogue about the role design plays in expanding the social capital within the city. 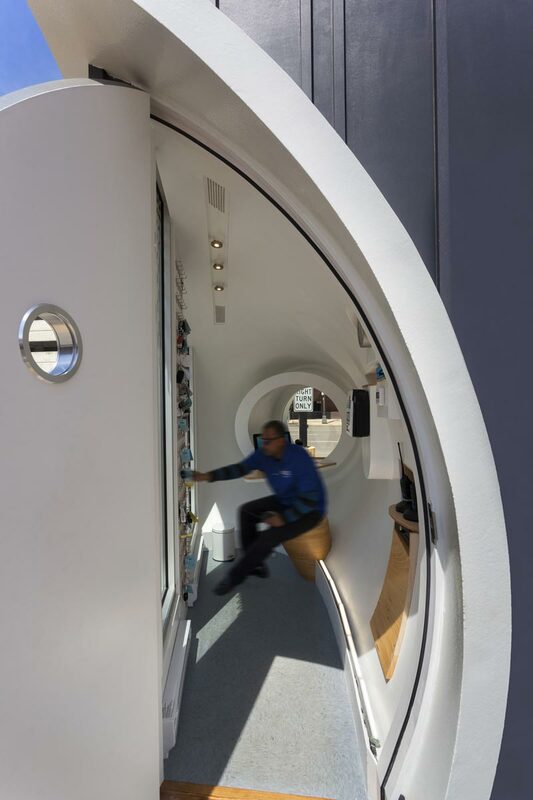 The booth will be staffed 24-hours-a-day, making its functional design imperative to the well-being of its attendants. Cochran said a main component of the series is to instill just as much of a sense of pride and ownership in their occupants as they do in their observers. This project was made possible through grant funding from The Ohio State University Office of Outreach and Engagement, a program supporting innovative and scholarly outreach and engagement programs that leverage the academic excellence of The Ohio State University with community partners, and funds from the Finding Time program. Additional funding has been provided by The Columbus Foundation. Thanks and congratulations to all of you: Coney Island won a 2015 AIA Columbus Design Award last night (and also an AIA Ohio Award in October). The jury loved the clever hidden hvac unit, the careful lighting, the embedded micro garden, and the immense craft of the team. Coney Island Booth Location: Parking lot of the The Westin Columbus–Great Southern Hotel in downtown Columbus just east of the corner of South High and East Main streets.